The Verge's products database compiles user comparisons of products, this aside from the usual news. TechCruch focuses on the business side of tech, news, and trends. The technology section of the NYTimes. Wired has been covering the intersection of technology, culture, and politics for nearly a quarter of a century. They are a leader in the tech-news industry. 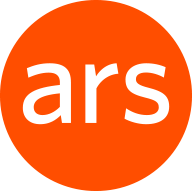 At 20 years old, Ars Technica is one of longest-running tech websites on the planet. Nearly six million redditors share news and discuss the latest developments in the tech industry. Focusing on technology news and business of Silicon Valley. 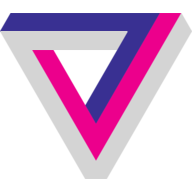 Originally founded by Walt Mossberg and Kara Swisher. The Next Web provides a mix of serious tech news and industry analysis and more lighthearted news that it files under "Distrct." Facebook Set Aside $3 Billion For A Penalty. Then It Grew By $40 Billion. Motherboard is Vice's technology section. It offers deep dives into tech news. Mashable offers news and opinion on all aspects of the tech industry. CNet is one of the premier sources for tech news on the planet. Besides news and reviews, there's loads of how-tos and sneak peaks. Clean Technica focuses on news and analysis of clean technologies.